The first vowel in Nepali language Aa is used in conjunction with every 36 consonants letters. For example the first letter in Nepali alphabet – Kaa (क) is made up of half “Kaa” and “Aa”. Similarly, all other consonants in Nepal have ‘Aa’ attached with them unless it is a half-consonent. 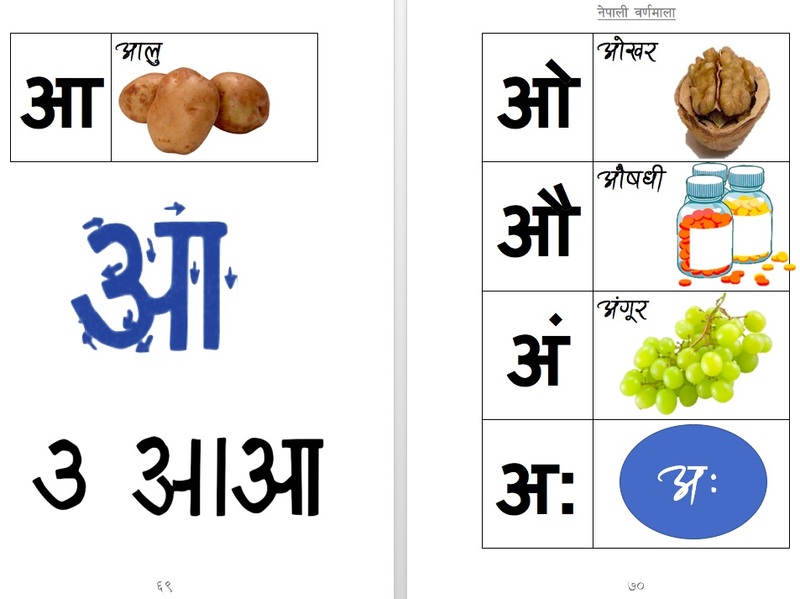 Here is a worksheet for the first vowel in Nepali alphabet. This worksheet is from the Alphabet book we have written. The book is still being written and being improved. Please suggest a better option for the children (and adult) to understand and learn fast. The full book will be available to purchase as soon as possible. Stay tuned for other alphabets and more details. The letter ‘Aa’ is the first alphabet of Devnagari lipi. The lipi is used in Sanskrit, Hindi, Marathi, Nepali etc. The letter is considered the best among the letters according to Upanishad. In Gita, Shri Krishna has told that he is the first letter of the alphabets. 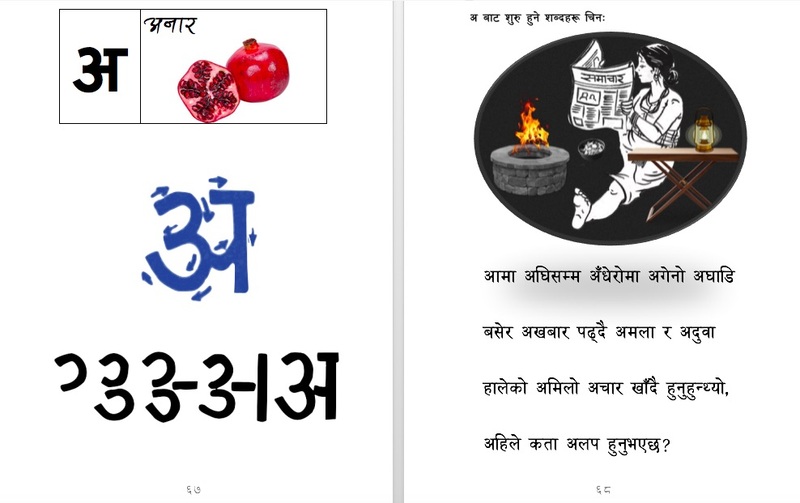 Worksheet to learn the five more variations of the first vowel of Nepali language. More alphabets will be coming soon.